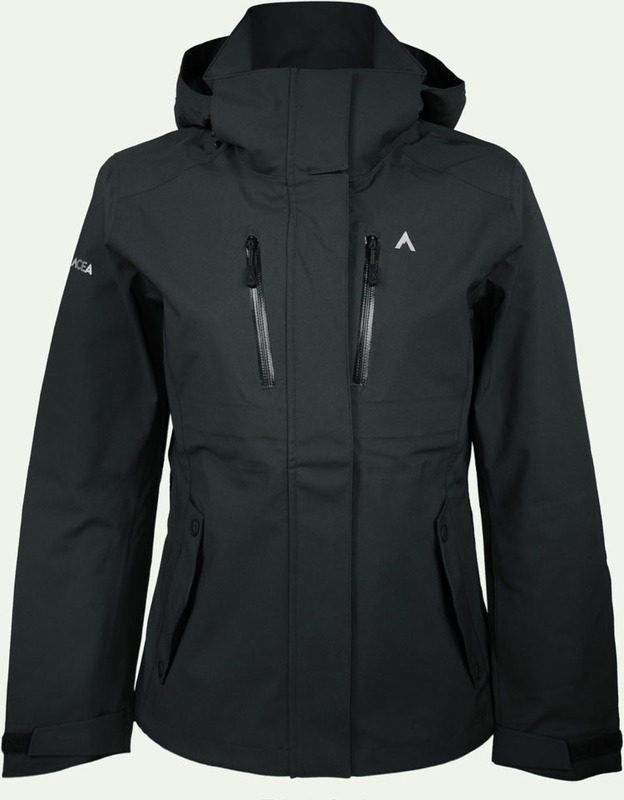 The Terracea Women’s Station LT Jacket is a lightweight shell that is very comfortable as well as functional. It has a 3 layer fabric that makes it very wind resistant as well as 20k waterproofing with a DWR finish. It works great with Terracea’s mid-layer fleece that zips right into the shell providing ample warmth and comfort. It also comes with taped zippers, two-way pit zips, and a removable articulating hood. The jacket does run small, so make sure to double check with the size chart before buying your normal size. The company suggests to size up for their outerwear. The Station LT comes with a variety of outer pockets for just about everything but there are no inner pockets in the shell unless you zip in the mid-layer that comes with a couple inner mesh pockets. Fit: Runs small, but the cut of the jacket is a normal tapered fit. Construction: Seems to be very well made and well thought through. Should hold up for a good while. Hood: Removable, articulating, comfortable. You don’t get blind spots when you turn your head, fits over a helmet just fine. Insulation/Warmth: The Station LT is just a shell, so no insulation. But it does have good wind protection and is very warm if you use it with Terracea’s mid-layer fleece. Waterproofing: 20k waterproofing with a DWR finish. Packability: Fairly packable as the material is so flexible and light. Overall Terracea’s Station LT Jacket seems very well made, and has a good amount of tech for a shell, the material it is made with is super lightweight and flexible making it comfortable for being active in. I think it would be a great streetwear jacket or even a hiking jacket, but in order for me to use it for snowboarding, I would need a little more length in the torso as well as the arms. But if you have a smaller frame then maybe it could work great for you. We try to get as many images of the Terracea Women's Station LT, but forgive us if they're not all there.